The effective or useful power output supplied by the motor at the shaft end is lower than the power input absorbed by the motor from the power supply, i. e., the motor efficiency is always below 100%. The difference between input and output represents the losses that are transformed into heat. This heat warms up the windings and therefore must be removed from the motor to avoid excessive temperature rise. This heat removal must be ensured for all types of motors. In the automobile engine, for example, the heat generated by internal losses has to be removed from the engine block by water flow through radiator or by fan, in the case of air-cooled engines. The heat generated by internal losses is dissipated to the ambient air through the external surface of the frame. 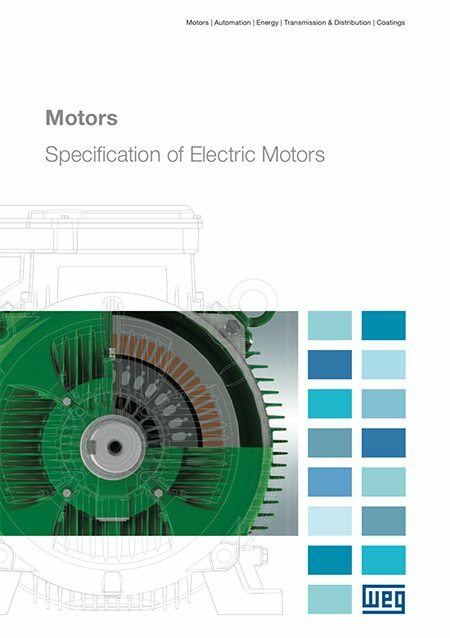 In totally enclosed motors this dissipation is usually aided by a shaft mounted fan. Temperature difference between the external surface of the frame and the ambient air (text-ta). A well designed ventilation system, as well as having an efficient fan capable of driving a large volume of air, must direct this air over the entire circumference of the frame to achieve the required heat exchange. A large volume of air is absolutely useless if it is allowed to spread out without dissipating the heat from the motor. The dissipation area must be as large as possible. 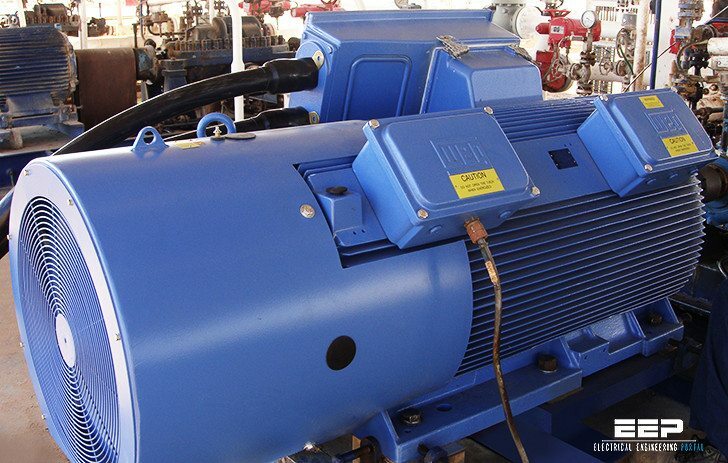 However, a motor with a very large frame require a very large cooling area and consequently will become too expensive, too heavy, and requires too much space for installation. To obtain the largest possible area while at the same time keeping the size and weight to a minimum ( an economic requirement ), cooling fins are cast around the frame. An efficient cooling system is one that is capable of dissipating the largest possible amount of heat through the smallest dissipation area. Therefore, it is necessary that the internal drop in temperature, shown in figure above, is minimized. This means that a good heat transfer must take place from the inside to the outer surface of the motor.